1) Great principals recognize the value of every adult in the building, and they praise their staff members as often as possible. 2) Great principals support their teachers at every turn -- with challenging students, challenging parents, and challenging colleagues. They trust their teachers, they have their back, and they always try to give them the benefit of the doubt. 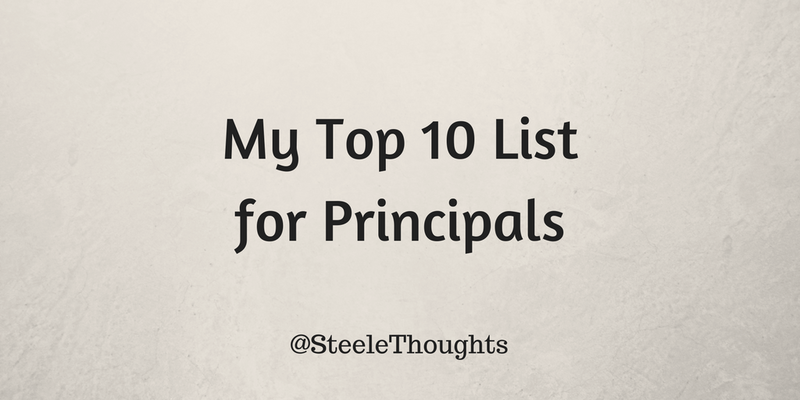 3) Great principals don't spend much time in their office. They are in the halls, in the classroom, at the bus stop, at carpool, in the lunchroom, or wherever the actions is. And they engage with those around them. 4) Great principals do not try to do it alone. They involve others in the decision making process whenever possible. 5) Great principals pay attention to student achievement, and they spend a lot of time in classrooms. They promote strategic instruction and meaningful assessments. And they ensure that data from those assessments informs teachers' practice as they work to meet the academic needs of their students. 6) Great principals intentionally foster a culture of collaboration in their school. They recognize that their teachers are stronger when they work together, so they create the conditions in the building that facilitate this process. 7) Great principals are never content with the status quo. They have high expectations for themselves and everyone around them. They articulate a bold vision for their school and inspire others to elevate their game. 8) Great principals understand the importance of staff morale, and are intentional about creating good working conditions for their faculty. 9) Great principals commit to bringing positive energy to work everyday. They realize that positivity is a nonnegotiable quality when creating a school culture where students enjoy learning and adults enjoy working. 10) Great principals always make it about the kids. They work to build relationships with their students, and they ensure that the best interest of students drives every decision in the school. Sometimes I succeed with these... and sometimes I fail. I will always keep working at it. You inspire me! If I get the chance to work in admin I am fortunate to have learned from the best! Spot on for me.....this is what we strive for daily. This is some great list! Now only things that's left is to make sure principals will read it. As the quality of education really depends on the atmosphere among the school stuff. If a teacher is upset children are going to google what is the safest service for custom essay writing all 10 years through. 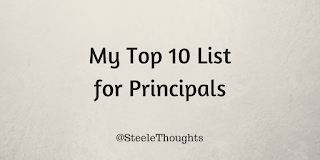 This is great blog about the principals i like it we can easily ask any QandA about this blog here if we have any trouble about the principals ! !